Salesian College Pallaskenry was one of three secondary schools which took part in the pilot stage of the LEAF programme this year. Thirty 2nd Year students took part in School and Forest Based Workshops. 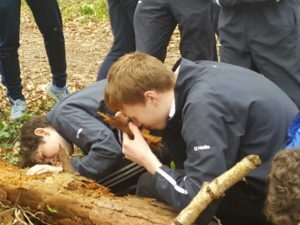 As the school is very close to Curragh Chase Forest Park, travel time was only fifteen minutes each way, meaning the group had an extra long Forest Based Workshop. The forest workshop was held on April 17th, although the weather was looking changeable that morning, luckily it stayed dry for the day. 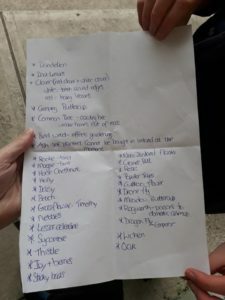 The day was divided into three 1.5 hour sessions, for the first two sessions the group was split in two and each group got to work with LEAF Officers Rachel Geary and Seán Hartigan. 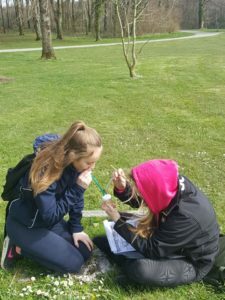 With Rachel the students learned how to find the height and age of a tree; they looked at some of the flora and fauna found in Curragh Chase through a hand lens and used stethoscopes to listen to the rising spring sap in the trunk of a tree. 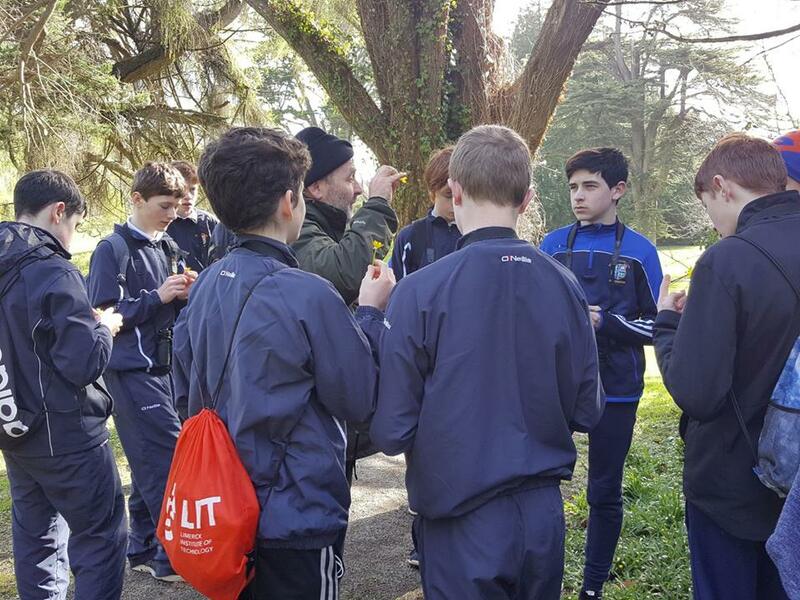 While working with Seán, each group learned about the different species of birds which frequent Curragh Chase by observing them through binoculars.They learned about the different types of trees in the arboretum, many of which had been imported from all around the world and about the protected horseshoe bat’s which reside in the ruins of Curragh Chase House. 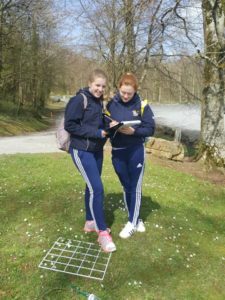 In the final session of the day, the students worked in groups of three to put their newly acquired knowledge to use, they used quadrants to isolate a section of ground and observe its specific biodiversity using plant and invertebrate keys and pooters. 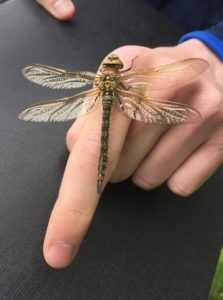 The Forest Based Workshop was followed up by a School Based Workshop with Seán on May 15th, the students, assisted by Seán, carried out a biodiversity survey of the school grounds where they found common carder bees, hairy hawker dragonflies and many other invertebrates as well as a large variety of plants.